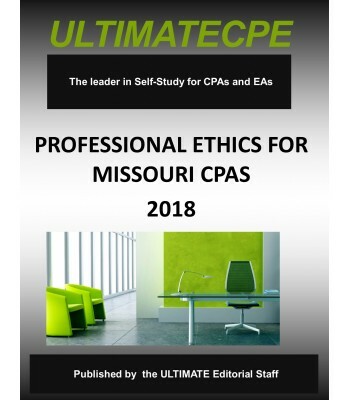 This 6-hour course is designed to meet the 6-hour professional ethics CPE requirement for Missouri CPAs. 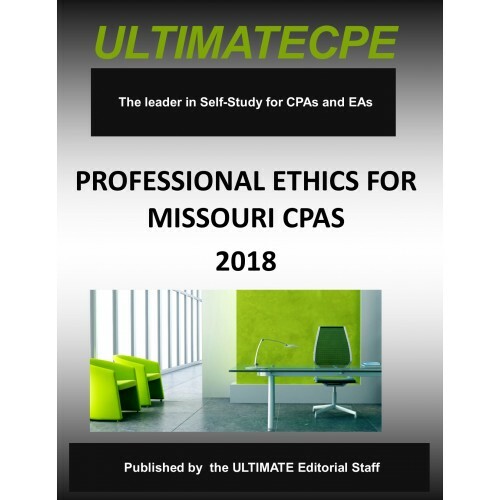 It provides an overview of ethical thought along with the core values of the CPA profession and the application of these values to ethical reasoning. Selected statutes of the Missouri Accountancy Act and applicable rules promulgated under the Missouri State Board of Accountancy Regulations found in Title 20, Division 2010, Chapters 2 - 5 of the Missouri Code of State Regulations are covered in detail. The AICPA Code of Professional Conduct is also covered in detail. Case studies are utilized throughout the course to emphasize subject matter.